The 38th edition of Sweden’s finest tournament, the Rilton Cup, has come to an end. And ending in style did the reigning Rilton champion, GM Wojtaszek, after an active game against Ulibin in the final round. 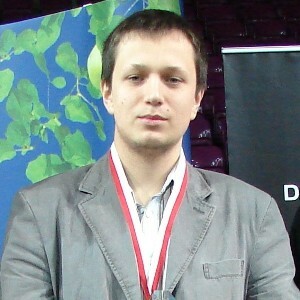 Only two players, Jan Timman and Michail Krasenkow, have previously managed to win Rilton Cup two times in a row and Radoslaw Wojtaszek now joins them. Finishing the tournament in style did also German IM Sebastian Bogner, ending on second place after beating GM’s Kuzubov and Ivanov in the last two rounds. Rilton Cup took place from 27th December 2008 until 5th January 2009 in Stockholm, Sweden. The prize fund for three events – Rilton Cup, Rilton Elo and Rilton Open (only for Nordic players with a rating lower than national 1800) – was around 22.000 Euro.